This post is dedicated to people that choose to shoot their own video. On occasion, I have been asked to take on editing assignments where, in order to save cost, a client has provided video footage they’ve captured. Nothing can be more disappointing to any editor than to find hours of footage that is barely usable because of poor camera technique, including pans, tilts, zooms and rack focus, that are caused primarily due to an unstable base from which to shoot. And while I too have watched “Modern Family” and “The Office” which popularized the “mockumentary” style of cinematography, with “whip pans” and “snap zooms,” I would argue that stable videos with smooth movements are far less jarring to the eyes. For the do-it-yourselfer, there is a simple solution: a sturdy tripod! Tripods have been around since cameras were the weight of a Volkswagen—and almost as big, and you needed a very strong platform to support them. Now, cameras are super small and we’ve all seen them integrated into today’s smartphones and even watches. Are tripods going the way of the dodo as a result? No! Think about this: Say you’re watching your son or daughter singing in the school choir and you’re in your seat 50 rows away from the stage trying to capture the proud moment when your child steps forward for a solo. You’ve got your Galaxy or iPhone zoomed all the way out and now your body starts to shake from fatigue in the hands and arms. You get home to see what you captured, only to discover a blurry mess because you weren’t able to keep the device steady. Bummer!! And don’t be fooled by the claims of the device’s manufacturer about “image stabilization.” At high zoom settings, any body movement will be amplified, so give yourself the best chance of getting the shot right, and use a tripod. Tripods come in many shapes, sizes and price points, but to not use one is to invite disappointment. At the very least, get one with strong legs and a “fluid head” so that camera movement is as smooth as possible. Also make sure the tripod’s head can lock. Nothing will cause more panic than being 10 feet away from your camera when it topples over because the head wasn’t locked and the whole rig became unbalanced. 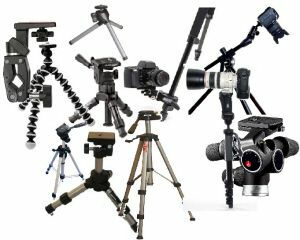 The good news is that tripods can accommodate most any camera made today, including the aforementioned smartphones and watches. The takeaway: Make the investment in a good tripod…your videos will be much better because of it! ← What is an “explainer video” and how can it benefit your company? There has to be a better solution to trying to film with a tripod. I agree that after a while I get the shakes from filming with my iPhone. Not easy to keep it steady. There are actually a whole array of stabilizing devices for iPhones, and smartphones, tablets and other devices. There are also adapters that will allow putting a smaller device ON a tripod. Yes, they are bulky, but they do make a difference–unless you’re going for that wild, frenetic “action cam” look.